Sweet hair begins by a daily brushing properly done! Avril wooden hair brush is ideal for that mission! - If you have long hair, begin through the bottom of the hair and go back up little by little to avoid creating knots. - If you feel a resistance, do not pull. Take time to disentangle the knot slowly by means of a comb, especially if your hair are wet. - If you have an important mass of hair, share your hair in 3 zones before beginning the brushing. 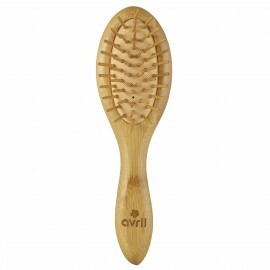 - When there are not knots anymore in your hair, you can brush the scalp: it's perfect to activate the blood circulation. It allows to feed correctly hair so that they are strong, soft and diamonds!